Pan-european VC Wellington Partners, together with LinkedIn founder Reid Hoffman and angel investor Sherry Coutu have invested in hot new UK startup Artfinder, which is setting out to the ‘the LastFM’ for the global art world, letting people catalogue and follow the art they love. The first-round funding – which is undisclosed – was led by Wellington (which has invested in Xing, Qype, Spotify, Livebookings, Adconion and others), while Hoffman invested via the Greylock Discovery Fund (which is also in Facebook, Twitter, LinkedIn, Pandora and Groupon among others). Sherry Coutu, best known in the UK as founder of Interactive Investor International (which went public) and serial Angel, will act as Chairman of the company. 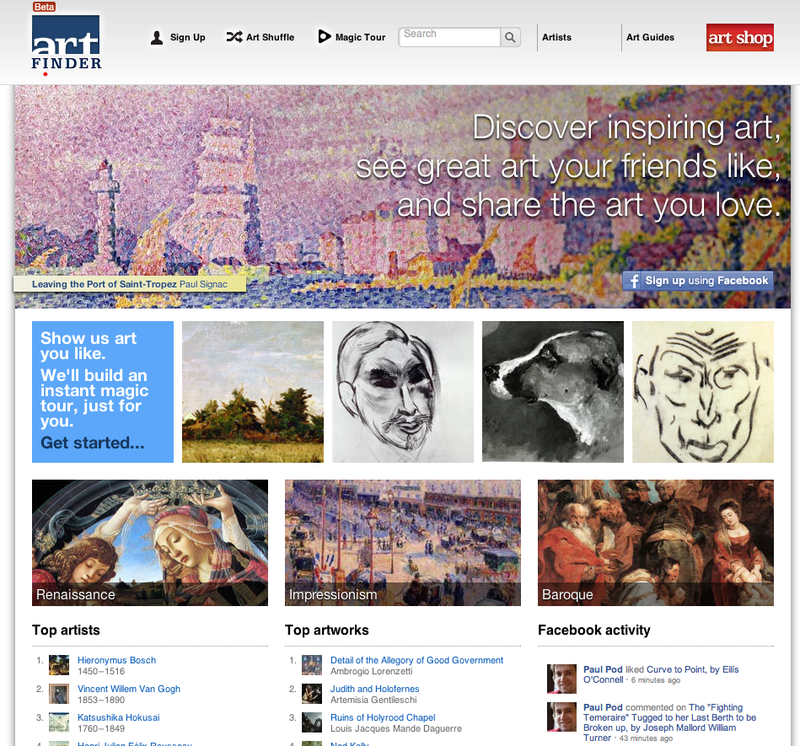 Artfinder has partnered with galleries, libraries, museums and artists worldwide to build an extremely comprehensive online catalogue of fine art featuring over 250,000 works from over 400 institutions. I’ve seen the demo and it’s pretty amazing – and you can too as the site goes live today.